This autumn, the United Nations General Assembly (UNGA) will select a new Secretary-General to replace Ban Ki-moon, whose term finishes on 31 December 2016. She or he will have to tackle multiple, highly complex global crises. 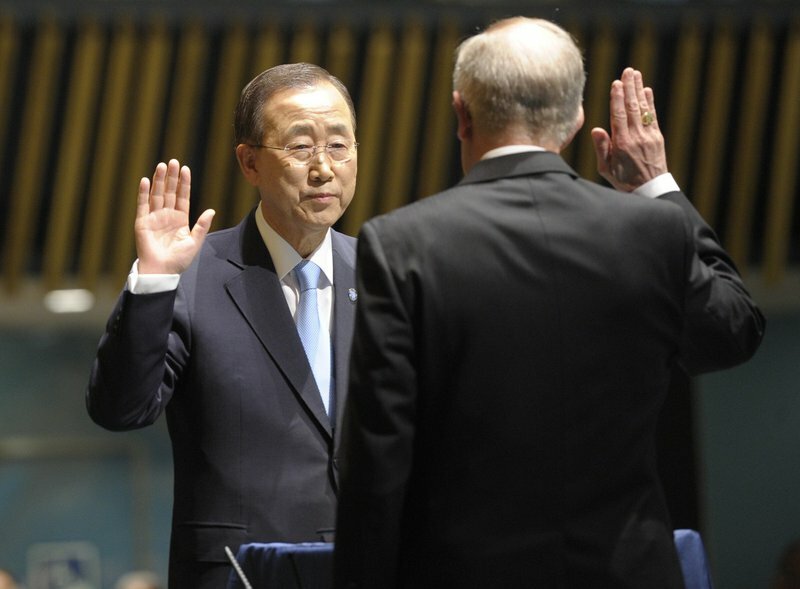 It is vital that an outstanding UN leader is selected who embodies the values of the UN Charter and can rise above national interests and work effectively to mediate conflict where other major actors fail; to alert governments to disturbing developments and thereby prevent conflict; and to be a catalyst who thinks strategically to tackle massive global challenges including climate change, humanitarian crises and terrorism. A Secretary-General can save lives. Human rights groups know why it is so important to select an accountable, effective and independent Secretary-General who not only cares about human rights but also recognizes that protecting these rights is key to preventing conflict. Such a Secretary-General can use the “good offices” role to raise human rights matters directly with governments or do so publicly if they are not responsive, and can drive home the message that there can be no peace and security without human rights and justice. She or he can ensure that highly qualified people who care and know about human rights are appointed to top UN positions, and that human rights are effectively integrated in day-to day UN operations including on the ground, protecting numerous potential victims from abuse. The Secretary-General can be the voice for those living in poverty and an advocate for women’s rights, for people with disabilities or for LGBT rights. She or he can be a motor for innovation in the human rights machinery: promoting the creation of a Human Rights Council with a novel global peer review mechanism or launching the concept of the responsibility to protect. These are just a few examples of how Secretaries-General have advanced human rights issues in the past. Yet, there is no guarantee that a Secretary-General committed to human rights will be selected. According to Article 97 of the Charter, the UNGA appoints the Secretary-General on the recommendation of the Security Council. In practice, until now, the Assembly’s role has been confined to rubberstamping the choice of the Council’s five permanent members carrying a veto. To date, the Security Council has firmly controlled the selection process: operating behind closed doors, without considering any selection criteria or qualifications. Backroom deals are common, for example requiring candidates to make promises to the Council’s permanent members on high-level UN posts in exchange for support. There have been some outstanding Secretaries-General, but that is despite and not because of the selection “process”. The whole process is geared to appoint the candidate representing the lowest common denominator. It is unworthy of the UN Charter and, as a respected former senior UN official noted “would be rejected as a bad joke by any serious institution in the private sector”. There have been some outstanding Secretaries-General, but that is despite and not because of the selection “process”. This needs to change. That is why many human rights NGOs have joined the 1 for 7 Billion campaign—a group of over 750 NGOs from all regions. They believe that openness, transparency and a merit-based selection process that is inclusive of all member states increases the chances for the world’s 7 billion people to get the top quality Secretary-General we need. And change is on the way. For the first time, there will be “informal dialogues” or hearings for all UN Member States with all candidates, in the General Assembly. The first of these will take place from 12 – 14 April and will be webcast. Civil society should be able to participate and ask candidates questions in a process facilitated by the Assembly’s President. Candidates, whose CV’s are being circulated, will be encouraged to present vision statements before the hearings. These dialogues will undoubtedly have an impact on deliberations in the Security Council on which candidate(s) to recommend—that will start in July. Also new are the articulation of broad selection criteria and an invitation to states to present women as candidates. To date all UN Secretaries-General have been men. These path-breaking changes were agreed upon by all member states in resolution 69/321, adopted by consensus in September last year. This resolution sets the stage for a new way of selecting future Secretaries-General based on principles of transparency and inclusiveness. As required by the resolution, the Presidents of the Security Council and of the General Assembly wrote a joint letter to member states, on 15 December 2015, “inviting candidates to be presented in a timely manner” although, at the insistence of Russia and the USA, there is unfortunately no deadline for nominations. Seven candidates have already been presented, most of them from Eastern Europe, which has made a claim for a Secretary-General from that region. Three are women. Two important proposals made by 1 for 7 Billion and by the Elders group of global leaders, chaired by Kofi Annan, are now up for discussion by the General Assembly. First, we proposed that the Security Council presents more than one candidate to the General Assembly. That would enable the Assembly to make a real choice as opposed to rubber-stamping a Security Council decision. The second proposal is to appoint the Secretary-General for a single, non-renewable term, of around seven years, rather than for five years (renewable for a second five year term) as is current practice. A single term would strengthen the independence of the Secretary-General and provide political space to concentrate on carrying out the job free from the politics of re-appointment. The Secretary-General should be accountable to all Member States and not be beholden to the specific interests of particular Member States, especially the most powerful among them controlling the re-selection process. A longer, single term would enhance the Secretary-General’s capacity to be effective in discharging highly complex leadership responsibilities—including on human rights—in a rapidly changing world. Many governments have not yet made up their minds, and more pressure needs to be brought to bear in support of both proposals. Whoever is appointed as the next UN Secretary-General will have enormous influence on the prominence given to human rights by the UN and the extent to which the UN secretariat—and its many agencies—truly champion human rights. The post is crucial for advancing human rights concerns at a global level. A transparent, inclusive and merit-based selection process offers the best chance to find and appoint the highly competent, visionary and effective new Secretary-General—fully committed to human rights—that the world needs.